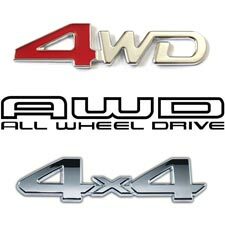 AWD Vs. 4WD – FWD Vs. RWD, Which Is Better? 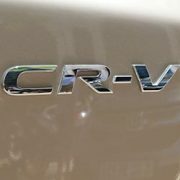 The question remains without a clear answer, which is better awd or fwd? To reach the correct answer, you need to know first about Drivetrains. Drivetrains aren’t as popular a topic as engines. After all, you can compare engines just by looking at horsepower and torque output. Yet car buyers should think about the drivetrain before they set foot in a showroom. The type of drivetrain that suits their needs may not suit the vehicle they plan to buy. If you walk into a dealership with all-wheel drive on your mind, they will be glad to sell you this expensive option. The question is: do you need it? Rear-wheel drive was once the main drivetrain. Now you’ll find it on pickup trucks, bigger sedans, especially luxury models, and some SUVs. Rear-wheel drive uses the rear wheels to propel you forward, but it uses the front for steering. The heavy load actually pushes down the rear wheels and provides needed traction. There’s generally less stress on the tires. The tires are sharing the load more equally. This can improve braking because it ensures better brake distribution. It also provides better traction, a must-have for big vehicles. Rear-wheel drive offers better cornering and more precision overall. Race cars and sports car have rear wheel drive for these very reasons. Most American cars feature front wheel drive. This means that power is directed to the front wheels. It is a lighter-weight system than all-wheel drive. Automakers like it because it is cheaper to make. There is less equipment, allowing the vehicle to be smaller and/or more spacious. Buyers appreciate FWD edition fuel economy, which is always significantly better than AWD editions. If front wheel drive is all you need, the car or SUV will be cheaper, and the fuel economy will be better. Front wheel drive uses space more efficiently. Front-wheel drive also maintains stability better at highway speeds. The system is more likely to maintain its straight-forward trajectory. Front-wheel drive isn’t necessarily bad when it comes to traction. With today’s traction controls, you can get help to deal with slow-speed situations, even snow or ice. You can expect much more wear-and-tear on the front tires. These tend to do the work, and they go the fastest. A secondary consideration is the overall durability of the vehicle. Front wheel drive isn’t as durable as its counterparts. A third consideration is the vehicle’s size. Is it too big for front-wheel drive? As the go-to drivetrain, FWD is often slapped onto a large SUV. Sizable vehicles really need rear-wheel or all-wheel drive for maximum handling and safety. The traditional four wheel drive system is still around, but there are fewer and fewer. In the place of a full-time 4×4, you’ll find part-time 4×4 systems and all-wheel drive. Four-wheel drive works on rough terrain because it allows the four wheels to act independently. On the road, tires need to work in tandem but off-road each one has a part to play. A true 4×4 requires the driver to change from two-wheel drive to four-wheel drive. This can be a problem because the driver could do it at the wrong time. 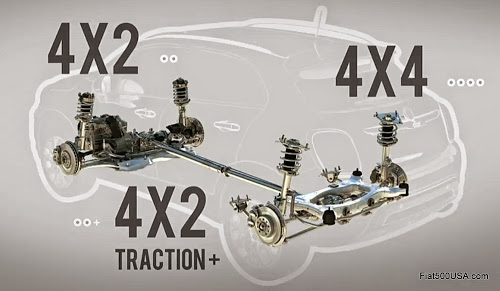 It is also misleading to say that a true 4×4 has the best traction. A wet highway isn’t slippery enough to warrant the 4×4. In fact, if you activate it when it isn’t needed, it will damage the tires and the system. All-wheel drive was developed in reaction to the problems in 4x4s. This system requires little input from the driver. It works as well on the pavement as it does off. This system has a limited slip differential. This regulates the power to each wheel more than the regular 4×4 system. Essentially each wheel can roll at a different speed as needed for traction. The best systems allow you to lock it into four-wheel drive when you are off-road. This ensures you really get the best of both worlds. 2013 Nissan GT-R relies on an AWD system. All-wheel drive jacks up the price of the vehicle you are buying. This is true across the spectrum. You’ll pay more for all-wheel drive for a pickup, large SUV, or any other vehicle. It’s even true on the Jeep brand, where you might expect AWD to be a requirement. The only exception is probably the Subaru brand. Also adding to the price, all-wheel drive may not be available as an option on a basic model. This pushes you to get a higher priced vehicle and pay for all-wheel drive on top of that. 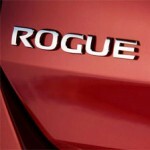 If fuel economy is a major concern, you probably want to steer away from four-wheel drive systems. 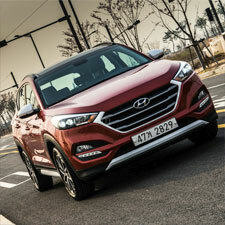 The addition of all-wheel drive adds to the vehicle’s weight, dropping fuel economy by quite a bit. In fact, if you can’t afford to upgrade, you may want to steer away from the large vehicles that really need 4WD or AWD. If the alternative to the pricier all-wheel drive edition is a front-wheel drive edition, I’ll take the AWD. Who wants to drive a front-wheel drive Ford Explorer? Personally I wouldn’t want to drive a big SUV with front wheel drive. I wouldn’t want a truck that didn’t have some 4×4 capability. For that much money, I want the vehicle to offer the maximum in utility and versatility. It can’t do that if it can’t go off-road or handle a big snow. If I can’t afford that, then maybe I don’t want it! Don’t mistake AWD capability for off-roading prowess, however. No matter how agile, an AWD car or SUV may have poor ground clearance. That means that rough terrain or high snow remains a big obstacle. This defeats the purpose of any 4×4 travel. Before you buy, consider a vehicle with a higher stance. That may not affect traction, but it sure affects your traveling ability. This brings the discussion to off-roading (which AWD can’t keep up with its full requirements). Jeep, the master of all things off-road, has developed a number of 4WD systems. 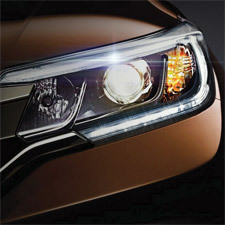 Toyota, not far behind, offers similar systems on its TRD Pro line. Talk about pricey. These systems pile on engineering features that drive up costs. For now, what is driving you? Before you test drive, think about the drivetrain in your current car. Think about size, cost, and features you expect in your next ride. Then narrow down your options. If you do spend the extra, you’ll do it for the right reasons. 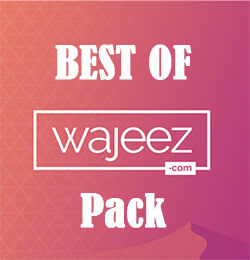 http://www.wajeez.com/wp-content/uploads/2015/06/4x4-AWD-4WD.jpg 225 225 Maria Hurt http://www.wajeez.com/wp-content/uploads/2016/06/wajeez-logo-png8-340-web.png Maria Hurt2015-06-19 15:02:582015-12-06 23:32:38AWD Vs. 4WD - FWD Vs. RWD, Which Is Better?